My back-length Fulani braids were giving me hot flashes ? in this 85-degree French weather so I chopped them off this morning and I’m not mad at the resulting braided “Lob” (long bob). 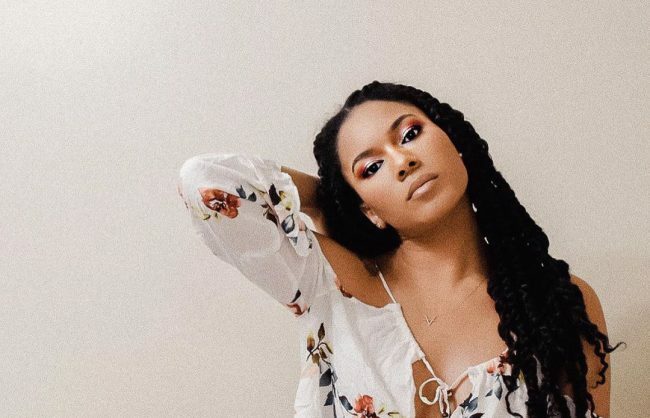 But it’s time to trade in these braids (I got ‘hot mess’ on our “Is it time to take out your braids quiz or nah?”) and find another summer hairstyle, that’s equally fly and cool. They’re cool, literally and figuratively. As soon as I cut off the length of my braids, I felt 10 degrees cooler and my head felt lighter, so there is less tension on my scalp (an added bonus). On top of that, they’re an unexpected play on summer braids. 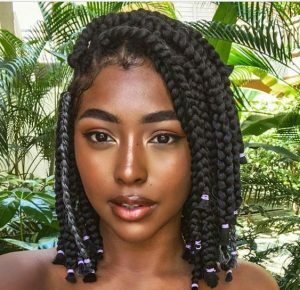 For us women of color, when summer creeps around we immediately start imagining ourselves frolicking along the beach in Bo Derek braids… I mean Kim Kardashian braids (*kidding* ?). Jokes aside, summer has a pretty strong association with long braids, and that’s cool, except that it’s not. Long hair is hot. So unless you’re rocking a braided Solange bun, your hair will have you sweating. What I like about the braided Lob is not just it’s ventilation properties but also that it’s not the 90s braided bob that’s been lightly trending. Rocking one is saying you know what’s up and your one step ahead of all the cool kids. When we’re talking about looking cool and staying cool, we obviously have to mention the teeny weeny afro (TWA). 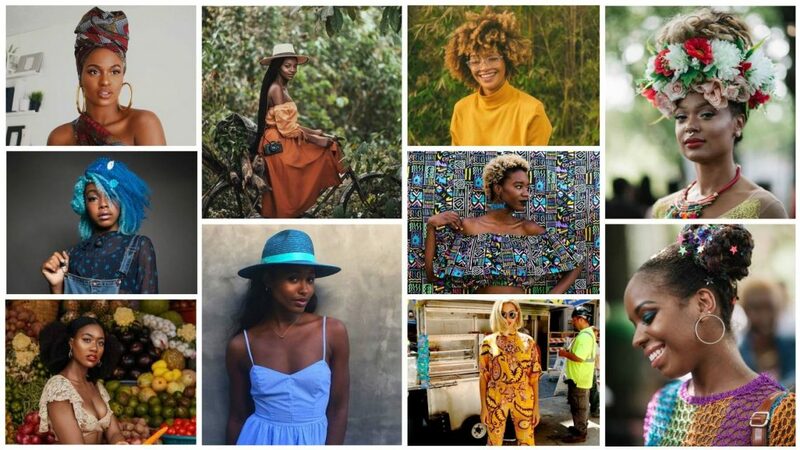 The best way to summer up your ‘fro is to add a little color. Blonde is the obvious choice but that’s just because it works so well. Summer days are long and bright; the sun stays out longer (in France it sets at 10:30 pm, which can be a total mind f**). So why not channel that brightness with your locks. What’s especially great is that, like summer, the color doesn’t have to last forever. (P.S. 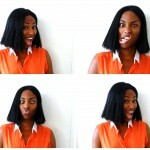 Check out how to care for your TWA here) P.P.S. I know the girl in the yellow shirt below doesn’t have a TWA but I threw her in anyway). I know this isn’t a TWA, but she’s so cute! Vloggers Natural85 and ThatIsKei both have great tutorials/demos on temporarily dyeing natural hair. Naptural85 used Ion Color Brilliance Metallics Temporary Liquid Hair Makeup, which was discontinued but you might still be able to find a bottle on Amazon. While ThatIsKei tried Jerome Russell: Tempr’y Hair Color and BWild Color Sprays as well as Manic Panic: Dye Hard Temporary Hair Color Styling Gel. She points out that the spray is quick and easy and rinses out easily. Just be sure to protect your walls or furniture while applying. She also points out that it goes on a bit blotchy and rubs off pretty easily so you might want to avoid resting your head on white sheets too. The gel, on the other hand, was less messy for ThatIsKei with more product in each tube than the spray. It washes out easily but she found that it left her hair stiff and dry once applied. The coolest hairstyle for summer is by far the classic up ‘do. We typically defer to up ‘dos when we want to be elegant, sweet or sophisticated. But we should be deferring to it when we want to stay cool too. When the weather gets NYC-hot, meaning so humid you feel like you can cut the air with a knife, you don’t want strands of hair sticking to the back of your neck or on your back. Whether your sporting braids or your natural kinks, there comes a few days each summer when you’ve gotta put ‘em up. Mind you, I’m lumping afro puffs and double buns into this category because why not. Nothing says summer like summer braids! They’re practical and swimmable. 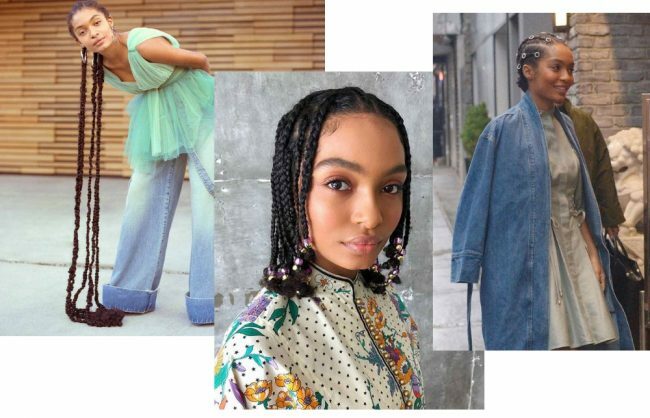 Box braids and Fulani braids are go-to braided options. 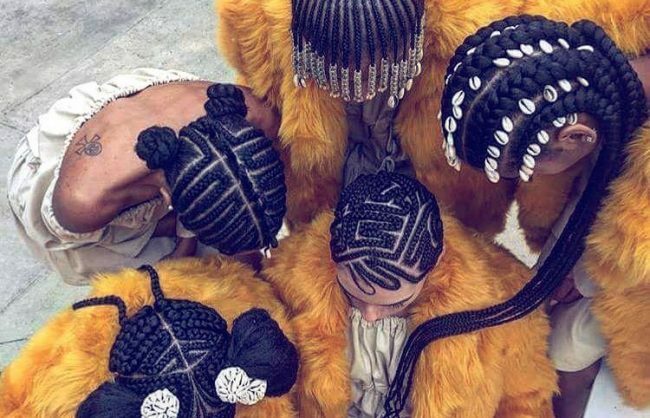 But I’m personally, also thinking more about cornrows designed into unique patterns and dookie braids — humongous single braids, that give you length but don’t take too long to do. 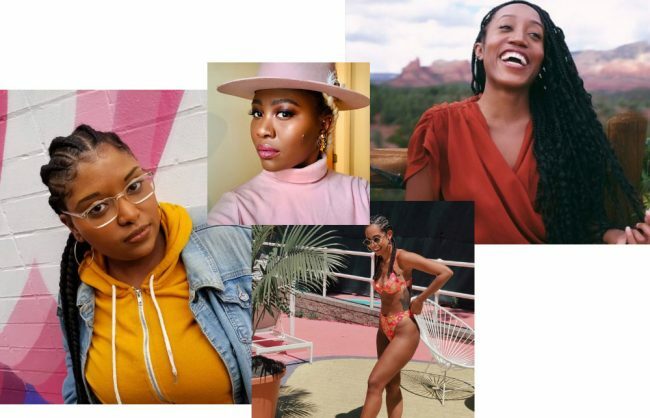 Weaves aren’t necessarily the hairstyle people are clamoring to the salon for (or booking an at-home hairstylist for (shameless plug)), because they’re not always as water-friendly as, say, a head of cornrows. But if diving into a pool or ocean isn’t in your future, you might want to consider a summer weave. What’s great about weaves (especially if you’re open to closures or frontals) is that they give you the most flexibility. You might be rocking a 4C mega ‘fro right now, but you could easily switch to a blonde wavy bob à la Beyoncé in Drunk in Love with no heat or color. Then switch back to ol’ faithful at the close of summer. Finally, in case none of the above got you screengrabbing or saving pictures to show your stylist or to try on your own, here’s a little more summer hairstyle (and summer #womancrush) eye candy. Enjoy!